POLTENNIS DI MARTINELLI GIOVANNI & C. SNC, Művészi torna és sport - eszközök és felszerelések, tennis courts, flooring for sports fields, az EUROPAGES oldalakon. 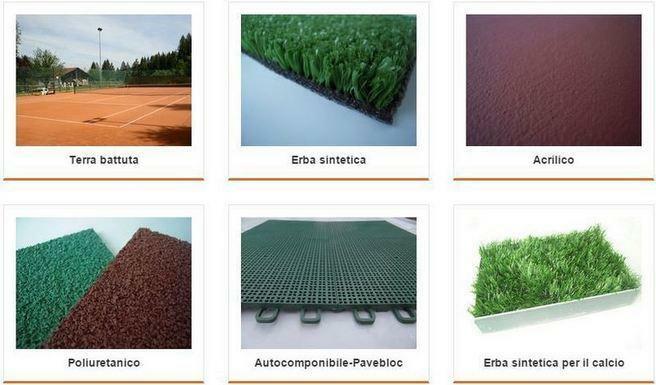 Pol Tennis supplies stabilized clay for tennis courts, baseball, tamburello, pétanque and other sports. We also have other types of coverings for tennis courts and small equipment for grounds maintenance. Pol Tennis supplies Cocciopesto mortar, a basic ingredient for Venetian coatings and floors. Pol Tennis provides a maintenance service for tennis courts and other sports grounds with clay and other coverings.